Gadsden and Etowah County attorney, Dani Bone, appeared on NBC 13 with Birmingham Injury Lawyers Hollis Wright about criminal procedure on 05/20/2018. 1. What is the difference between criminal law and civil law? And what determines whether an act is criminal? Civil law is matter between individuals, such as Mr. Doe vs. Mr. Jones suing each other for things such as negligence or contract disputes. Criminal law involves the State on behalf of the people against an individual for breaking specific codified criminal laws. The state is represented by the district attorney also called the prosecutor. The various criminal acts and statutes are found in the Alabama Code Title 13A. That section list all the acts determined to be criminal by the State of Alabama. These laws were drafted with public safety and morals in mind. The police arrest an individual when they have probable cause to believe that a crime has been committed. The arrest may be made on the police officer's initiative at the time of the alleged crime, or after a warrant has been issued and the subject of the arrest surrenders to the police. Technically an "arrest" occurs when a person has been taken into police custody and is no longer free to leave or move about. After an arrest, the individual is processed into police custody ("booking"), and a determination of his or her eligibility for release from custody in exchange for the posting of a set amount of money ("bail") is determined. In order to post a bond an individual can deposit the exact amount of bond in cash, which is refunded when the case is over; or can use a bail bondsman, which usually charges 10% to 15% of the amount of the bond, which is not refundable; or can post a house for the value of the bond. This is a hearing in which you learn of the charges against you. It provides an opportunity for the prosecutor and your defense attorney to discuss a possible negotiated plea, if that is your desire. If you have been charged with a felony, your case may be sent to a grand jury that will decide if you should be indicted. You may wish to testify in this hearing, although this is usually not advisable. Usually held soon after the arraignment, a preliminary hearing is where the judge determines whether there is enough evidence to force the defendant to stand trial. In making this determination, the judge uses the "probable cause" legal standard, deciding whether the government has produced enough evidence to convince a reasonable jury that the defendant committed the crime(s) charged. Many times this occurs during the preliminary hearing but can happen at other times as well. Plea bargain are basically what they sound like, your attorney attempts to negotiate reduced charges, separate less severe charges, or reduced fines, jail time, etc. in exchange for you to pleading guilty. While these are difficult decisions to make, in some cases it can be a better alternative than risking a trial and the possibility of a harsher sentence. The vast majority of cases are resolved through a plea bargain. Pre-trial motions are used to learn more about the government's evidence against you and uncover potential weaknesses in its case. They can also use these to suppress evidence or to seek a dismissal of the charge. Trial- In a criminal trial, a jury examines the evidence to decide whether, "beyond a reasonable doubt," the defendant committed the crime in question. A trial is the government's opportunity to argue its case, in the hope of obtaining a "guilty" verdict and a conviction of the defendant. A trial also represents the defense's chance to refute the government's evidence, and to offer its own in some cases. After both sides have presented their arguments, the jury considers as a group whether to find the defendant guilty or not guilty of the crime(s) charged. 3. At what point in this process should a person contact an attorney in Alabama? As soon as possible, preferably prior to giving any statement to the police. Since every statement made can be used against you, you should make sure to secure all of your rights by securing a criminal lawyer as soon as possible. Furthermore, the criminal attorney will want to begin working on your defense early while evidence, whether physical or in the form of witnesses are fresh and available. Delaying the hiring of an attorney can potentially create problems for you and the attorney in the future. 4. What separates misdemeanors from felonies in Alabama and what types of sentences could be levied after either a plea bargain or guilty verdict? There are many types of sentences or punishments which can be levied dependant on the type of crime an individual is convicted of. Factors may come into play such as past convictions, severity of the crime etc. Finally some crimes have statutory punishments in which a judge must follow without the ability to use his/her discretion. An example would be mandatory jail time for second time DUI convictions within 5 years of the first conviction. 5. When an individual is approached by a police officer, is he/she required to answer questions posed by the officer in Alabama? What if the police officer asks for consent to search my car or my house in Alabama? Biographical information such as your name, address and phone number and any information about your identity should be given, but you are not required to answer anything else. You should always be aware that anything you say can be used against you. You should not submit to questioning without the presence of an attorney. Unless the officer has a warrant, you should politely decline. Never consent to a search unless there is a warrant. The Constitution protects from unreasonable searches and seizures, therefore unless the office has enough cause to secure a warrant for his search then you have no duty to consent. 6. You often hear the term Miranda warning in Alabama or “being read ones rights,” what is that and when must it be given and what is its purpose? Once a person is in custody of police, which is determined by whether he/she is currently deprived of his or her freedom to leave, the police must recite the Miranda warning if they wish to continue questioning the individual and use the his/her answers as evidence at trial. The Miranda informs the individual that they have the right to consult an attorney and anything they say can be used against them. However if a person is not in custody a Miranda warning is not required and anything the person says can be used in against the person. However even if the police do not give the Miranda warnings, the person can still be charged, except the police/prosecutor will not be able to use anything the person said as evidence at trial. 7. Alabama has just enacted new DUI laws beginning September 1, 2011. Briefly what is a DUI and how can someone be charged with one? DUIs are serious business. Being convicted of DUI can seriously affect your life and your future. A DUI conviction can result in jail time as well as the loss of driving privileges. You will be assessed heavy fines and court costs as well as increased cost or loss of your automobile insurance. Finally a DUI conviction can negatively affect your employment, via being denied certain jobs or losing your current employment. 8. Must I be driving in order to be charged with a DUI in Alabama? No, in Alabama you can be charged with a DUI even if not actually driving the car at the time of arrest. You can be charged with DUI even if not seen driving through the use of circumstantial evidence to prove that the person had actual physical control of the vehicle. Actual physical control is the power and ability to operate, move, park, or direct whatever use or non-use is to be made of the motor vehicle at the moment. Examples of actual physical control would be having possession of the vehicles ignition key, sitting in the driver’s seat and having the capability to start the engine and drive. In other words, if you are intoxicated sitting in your car, even if it is not in motion you could be charged with a DUI. 9. Am I required to perform the roadside sobriety test or the roadside handheld breathalyzer in Alabama? No. You can decline both of these tests. However you can still be arrested if the officer believes he has probable cause to still charge you with DUI. This is usually done by noting your speech, motor skills, etc. Note that once you are in custody you will be asked to take the breath test at the police station. In Alabama, when a person applies for an Alabama driver’s license they automatically are agreeing to the Alabama implied consent law. Which means that if you are stopped on suspicion of DUI you agree to submit to a blood, breath or urine test to prove your intoxication level. Failure to submit to this test for a first time offender will result in an immediate 90-day license suspension with no chance of obtaining driving privileges during that 90-day period. If it is determined that the refusal is a second or subsequent refusal within the past five years, there is a 1-year license suspension with no chance of obtaining driving privileges during that 1-year period. 10. 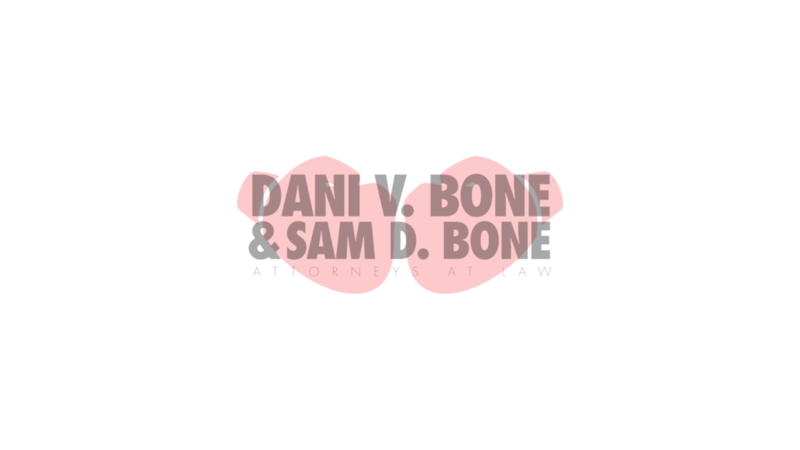 Briefly what are penalties for your first DUI and subsequent DUIs in Alabama? 1st DUI – imprisonment not more than one year, or fine of not less than $600 nor more than $2,100, or by both fine and imprisonment. In addition the driving privileges are suspended for after conviction for a period of 90 days. 2nd DUI – a second conviction within 5 years of the first will result in a fine of not less than $1,100 nor more than $5,100 and by imprisonment for not more than one year. There is a mandatory jail time of not less than five days or community service for not less than 30 days and revocation of driving privileges for a period of one year. 3rd DUI – on a third conviction, a fine not less than $2,100 nor more than $10,100 and by imprisonment for not less than 60 days nor more than one year, to include a minimum of 60 days in jail. The driving privileges are revoked for a period of three years. 4th DUI – On the fourth or subsequent convictions, you are charged with a felony and punished by a fine of not less than $4,100 nor more than $10,100 and by imprisonment of not less than one year and one day nor more than 10 years. Mandatory sentence of 10 days, whereby the remainder of the sentence may be suspended or probated if person meets certain conditions. Driving privileges are revoked for a period of five years. Again this is a brief breakdown there are many other repercussions and unforeseen issues. However recently there have been enhancements to the above. 11. Governor Bentley just enacted two new tough DUI laws, what are they in Alabama? On June 9, 2011 Governor Robert Bently signed into law Act 11-613 the “ignition interlock” bill which goes into effect September 1, 2012 and Act 11-621, and the “double minimum punishment” bill which goes into effect September 1, 2011. Both of these bills increase the punishment and severity of DUI convictions if you meet certain conditions. • This bill provides that UPON CONVICTION for DUI, any offender with a blood-alcohol content of 0.15 or greater will be sentenced to double what he or she would have received had his or her BAC been less than 0.15. This same sentence enhancement is currently used when someone is convicted of DUI while a child under the age of 14 is present in the vehicle at the time of the offense (subsection (n) of the current DUI statute). • This bill also provides that the offender’s license shall be suspended for “at least one year”. This only comes into play for a first offense. Currently, a first offense only mandates a 90 day DL suspension; however, should the offenders BAC be 0.15 or greater, the DL suspension shall be for one year. • The effect on a first offender will be that the DL suspension will be for one year instead of the current 90 days and the minimum fine goes from $600 to $1200. For a second offense, the minimum mandatory jail time goes from five days to 10 days and the minimum fine goes from $1100 to $2200. For a third offense, the minimum mandatory jail time goes from 60 days to 120 days and the minimum fine goes from $2100 to $4200. For a fourth or subsequent offense, the minimum jail time goes from 10 days to 20 days and the minimum fine goes from $4100 to $8200. • This law goes in to effect September 1, 2011, however, as stated in section 3 of the bill, the substantive provisions do not go into effect until September 1, 2012. • An ignition interlock is a device installed on the car of the DUI offender’s choosing that the offender is required to blow into prior to cranking his or her vehicle. If the person has a BAC of 0.02 or higher, the vehicle will not start. The device will also require a “rolling restart” which means that it must be blown into every few minutes to keep the vehicle cranked. This keeps the offender from driving to a bar, leaving the car running while he drinks and allowing him to enter a cranked vehicle to drive home. The portion of the device to be blown into is a long tube, so blowing into it will require no more effort than using a straw. • How this will work: When someone is convicted of DUI, his or her driver’s license will be suspended as it is under current law. When the offender applies for DL reinstatement, they will get a special DL that indicates they can only operate a vehicle equipped with an interlock device. The offender will have to show proof of installation of an interlock device prior to getting their DL reinstated. • The ignition interlock is NOT mandatory for a first offender UNLESS the offender had a BAC of 0.15 or higher, refused to submit to a chemical test, had a child in the vehicle under the age of 14 or if someone other than the defendant was injured at the time of the offense. The offender will then be required to have an interlock installed on their vehicle for two years. For a second offense, the offender will be required to have an interlock device for two years after the one-year DL revocation is served. For a third offense, after the defendant has served a three-year DL revocation, the offender will be required to have an interlock installed for three years. For a fourth or subsequent offense, the offender will be required to have an interlock device for five years following the five-year DL revocation. • The device is leased from and interlock provider and costs the offender approximately $2-$3 per day and the offender must have their device serviced every 30 days. • If the offender is found to have incurred any violations with the interlock, the provider will report those violations to the court and the time the offender is required to have the interlock is extended six months. Such violations include blowing into the device with a BAC at or above .02 four or more times in a 30 day period, attempts to tamper with or circumvent the device and failure to get service within a 30 day period. 12. How soon after my DUI arrest should I contact an attorney in Alabama? Immediately. For one, if you’ve been arrested for Alabama DUI, the law allows only 10 days for your lawyer to make a request with the Alabama Department of Public Safety for a hearing to save your Alabama Driver’s License. DUIs are not to be taken lightly due to the severe consequences especially in light of the new laws recently passed that can arise from a conviction. You need to find a qualified DUI attorney as soon as possible who can make sure your rights are protected. • You should contact counsel immediately if you have a criminal issue that arises. Failure to take a criminal case seriously could have a permanent impact on your employability, credit, etc. • Out of state DUIs can be used for sentence enhancements in Alabama. • Alabama generally has no provision for hardship driver permits if your driver’s license is suspended due to DUI. • You only have 10 days after being arrested for a DUI to make a request with the Alabama Department of Public Saftey to prevent suspension of your driver’s license until your DUI case has been completed. • On June 9, 2011 Governor Robert Bently signed into law Act 11-613 the “ignition interlock” bill which goes into effect September 1, 2012 and Act 11-621, and the “double minimum punishment” bill which goes into effect September 1, 2011. Both of these bills can greatly increase the fines, costs and punishments for those convicted of a DUI. Newer PostHow to change your name in Etowah County? Older PostDo I need a lawyer for an uncontested divorce in Alabama?